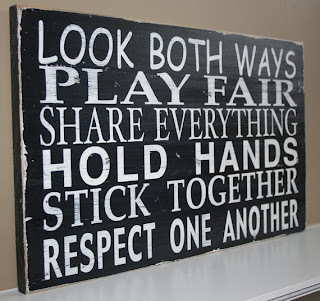 These words aren't just for kindergartners, but for grown ups as well!! 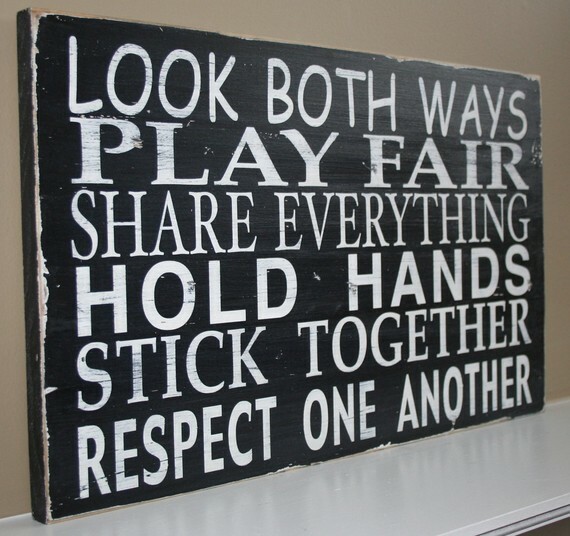 This would be great in a playroom or in a hallway in your home!! It puts everything into prospective. I'm leaving today for Colorado for the SITS Bloggy Boot Camp ~ although it's not until Saturday, I'm going home to spend some quality time with my family!! Leaving the kiddos with my hubby ~ which I'm sure will spoil them rotten while I'm gone!!! They'll have good daddy time together. This is the 1st time I've EVER left the kids for more than a few hours!! I know, I know, it'll be good for everyone!! I'll give you an update when I get back.